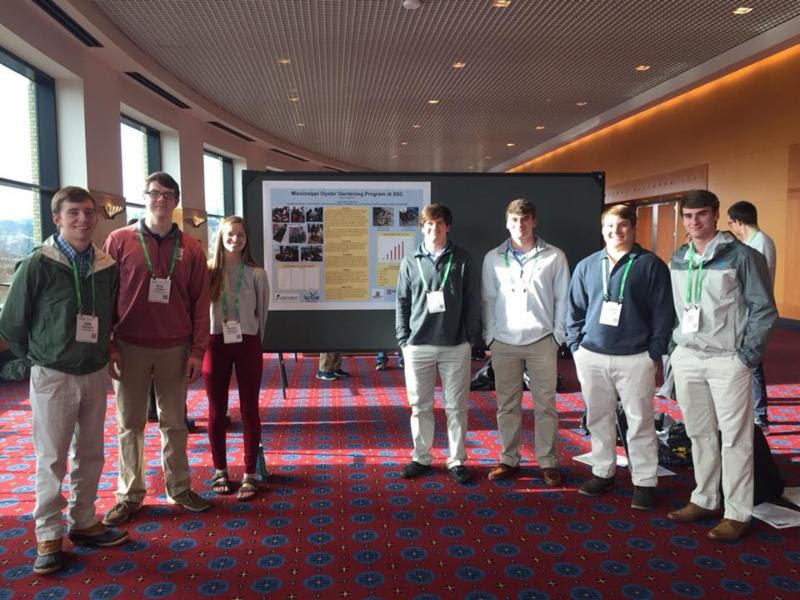 Over the Mardi Gras break, Mrs. Letha Boudreaux, her husband, Perry, Harriet Bellone, and the Marine Science interns flew to Portland, Oregon to attend the 2018 Ocean Sciences Meeting (OSM) and to explore the Pacific coast. OSM is a biennial event which hosts the largest international assembly of ocean scientists, engineers, students, educators, policy makers, and other stakeholders to gather and share their results on research, applications, and education. This is the 19th OSM conference and only the third one that has invited K-12 students to present at the conference on research they’ve conducted inside and outside the classroom. This is the second OSM conference that SSC Marine Science interns have attended. In 2016, SSC Marine Science interns went to OSM in New Orleans and presented on an unknown species of pipefish that was caught during fieldwork. This year, the interns presented on the Mississippi Oyster Gardening Program at SSC. Our students designed a poster on their research that was professionally printed and they also prepared an oral presentation. They presented their poster in a scientific-style poster hall along with over 3,000 scientists and graduate students from all over the world. They not only have experience presenting at a scientific conference now, but they also have a scientific publication to add to their resumes! Only 33 students participated from 13 schools. Students came from Oregon, Washington, Texas, New Jersey, Missouri, Mississippi, California, and Netherlands. Upon check-in to the conference, our students were immediately paired up with two PhD candidates, who served as their mentors for the day. These mentors provided them with a personal tour of the facility, gave them feedback on their poster and oral presentation, took them to various research talks and a visit throughout the exhibition hall where they got to interact with numerous universities, companies, and agencies within the field of ocean sciences. then exploring Haystack Rock at Cannon Beach and Hug Point. 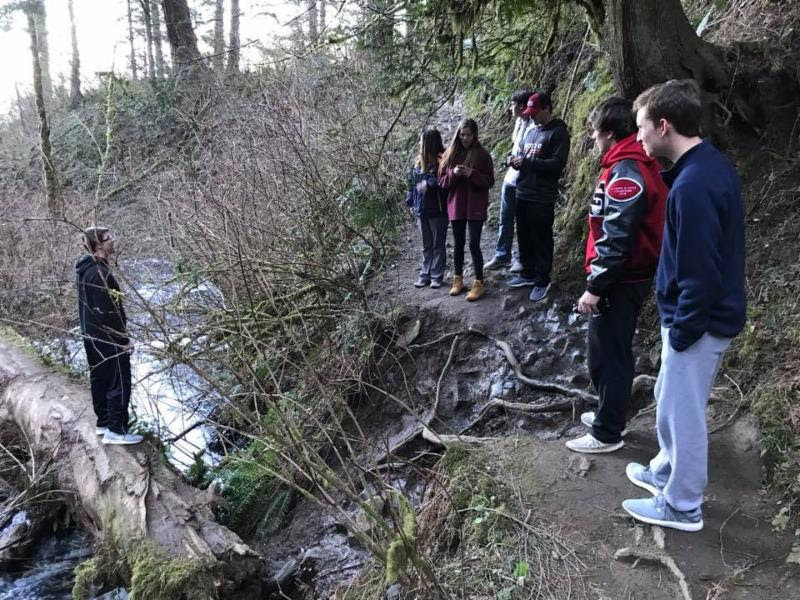 They also hiked two miles around the majestic Latourell Falls. 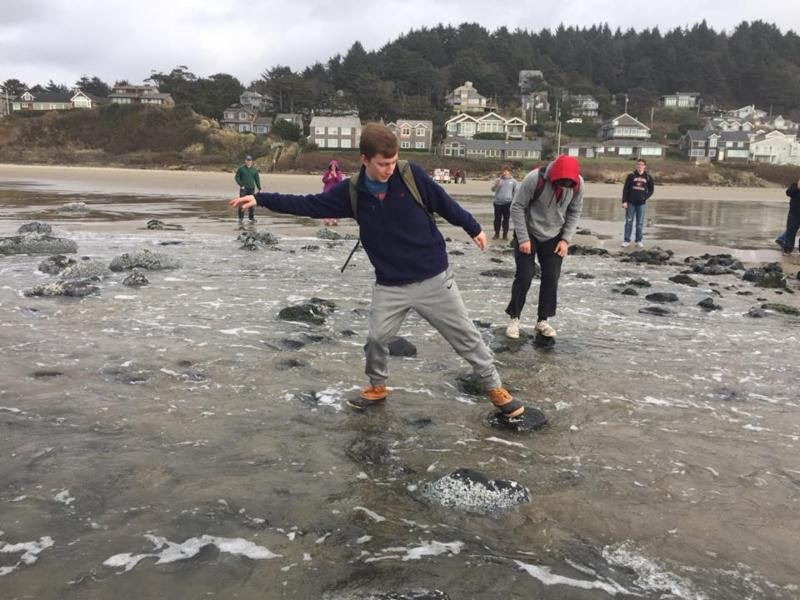 While on the Pacific coast, the group identified sea lions, gooseneck barnacles, limpets, sand dollars, mole crabs, mussels, red algae (Corallina and Porphyra), brown algae (kelp), and various species of sea anemones, snails, sea stars, and hermit crabs.